What if my computer doesn’t meet requirements? What is VT-x or AMD-v and why do I need it? How can I limit the number of CPUs used? What science is being done with Cosmology@Home? 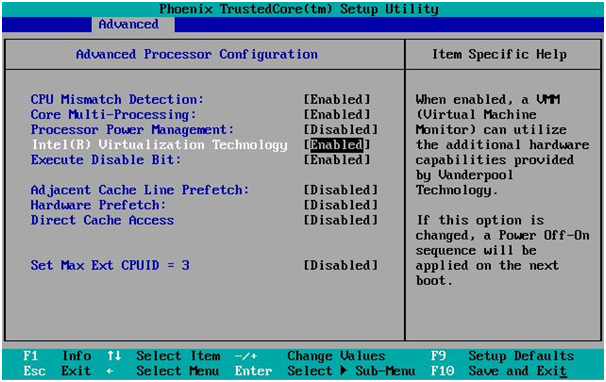 How do I only run the legacy application? How does the camb_boinc2docker app work? Why is there no 32-bit support? Can I see the source code of Cosmology@Home? Does it hinder Cosmology@Home if I abort jobs? Cosmology@Home runs multiple “apps.” The requirements list is for the default app (named camb_boinc2docker), but if your computer does not meet them, there is an older app available (named camb_legacy) which runs on just Windows and Linux but supports 32-bit processors and does not need Virtualbox or VT-x/AMD-v. At this point we only use the results from camb_legacy for testing the PICO algorithm and not for comparing with data since the app is fairly old. However, the results do serve a limited purpose and allow Cosmology@Home users who do not meet the above requirements to continue to contribute, thus we continue to provide it. We encourage users who can run camb_boinc2docker to do so, however. This is a feature of modern processors which provides hardware support for virtualization (Intel calls theirs “VT-x” and AMD calls theirs “AMD-v”). The default Cosmology@Home apps are 64bit virtual machines, and to run these virtual machines Virtualbox needs your CPU to support VT-x/AMD-v and this feature has to be enabled (it often comes disabled by default with new computers). After the first time your computer connects to the Cosmology@Home server to request a job, you will be able to see on the “Computer information” page information about your CPU’s virtualization support (visit this page while logged in and click “Details” for the computer you are interested in). Some users prefer to have Cosmology@Home running at all times in the background, even while they’re using their computer. Unfortunately, due to a regression in VirtualBox, on Windows the priority of VirtualBox cannot be set to low, so it may interfere with your usage. As a workaround until VirtualBox is fixed, you can either lower your BOINC global CPU usage, or you can limit the number of CPUs that Cosmology@Home uses (leaving your other CPUs for native BOINC applications from other projects which can be set to low priority). camb_boinc2docker is multi-threaded and will use up all available cores which BOINC allows it to. For example, if in the BOINC computing preferences you have set “Use at most 50% CPU time” and you have a 4-core processor, the job will use two of them. If after this BOINC gives an error reading your app_config.xml file, make sure you saved the file with a character encoding apropriate for your system (options to do so may vary by text editor). For an introduction to the science we do at Cosmology@Home, see this (link will be posted shortly) multi-part blog post. To summarize, we run the CAMB code, the results from which are used to train the PICO code, which in turn is used by various groups in the field to analyze cosmological datasets. Most notably, PICO is used extensively in the analysis of Planck data (e.g. this paper). The papers describing PICO itself can be found here and here (click “PDF” on the right to view the papers for free). Citations to these papers can be found here and here and represent work which has referenced PICO and hence benefited from Cosmology@Home in some way. If you wish to use only the old Cosmology@Home application, camb_legacy, you can edit your preferences and unselect all other applications. The results from this application are not as useful so please consider doing so only if you are having technical problems running the other applications. Note camb_legacy only supports Windows and Linux. The camb_boinc2docker jobs (or any other Cosmology@Home jobs relying on boinc2docker) run a Virtualbox “virtual machine” on your computer, inside of which we run a Docker “container” which packages the science application. This nesting of Docker inside of Virtualbox might seem redundant, but is quite powerful. The use of Virtualbox means our applications will always work on Mac OSX, Windows, and Linux. The use of Docker means we can keep our Virtual machine images extremely small (only a few tens of MB), and when updates are needed, your computer will only need to re-download the Docker “layers” which actually changed. This is the name for the software which allows us to run Docker containers with BOINC. It can be used to run any code, camb_boinc2docker being one of them. You can follow development of boinc2docker or use it with your own project here: https://github.com/marius311/boinc2docker. Docker only supports 64-bit processors. For those with 32-bit computers wishing to contribute to Cosmology@Home, you might still be able to run the legacy application. Absolutely! All of the code, including the camb_boinc2docker code itself as well as the server code is publicly available on the github page. In fact, the exact commit the server is currently running can be seen on the server status page. We run our server from a Docker container, so its super easy for anyone run a copy of our server too, and play around with modifying or seeing how it works. No, feel free to abort jobs if you need to. Our results are built up by the aggregate of all jobs, and losing any one particular result is fine.